Our family loves to eat and if we want to try something new, I always search online for reviews and recommendations. I read different food blogs and food websites. 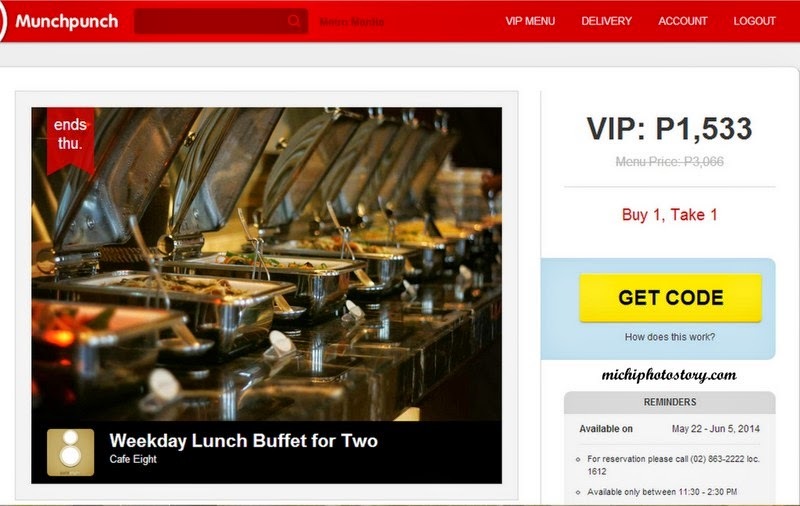 One of the websites that I like to check is Munchpunch, I do check the menu, price and location of restaurant but little did I know that Munchpunch offers VIP membership. I had an offer to try Munchpunch VIP membership last May. I signed up and immediately browse the VIP menu. VIP members can get freebies and perks at over 150 locations. You can simplify your search by using the tab buttons, I always use the location tab because I live in Cavite and my nearest location is Muntinlupa. 1. 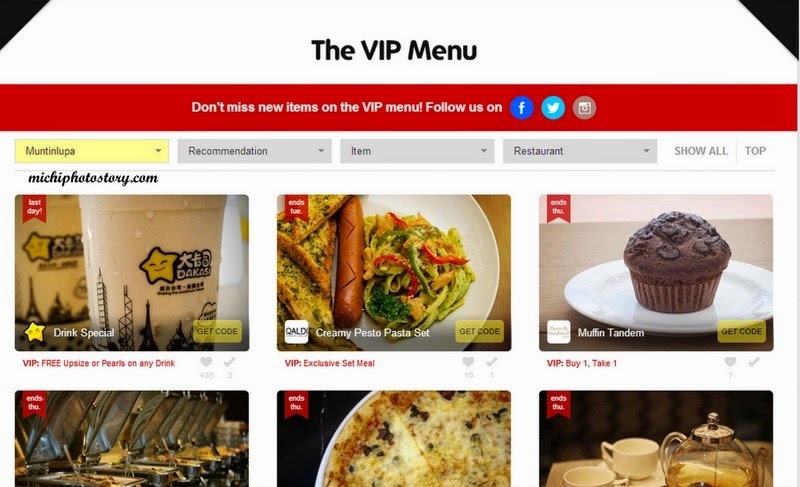 Browse the VIP menu and pick an item. 2. Click Get Code and wait for the text message. 3. 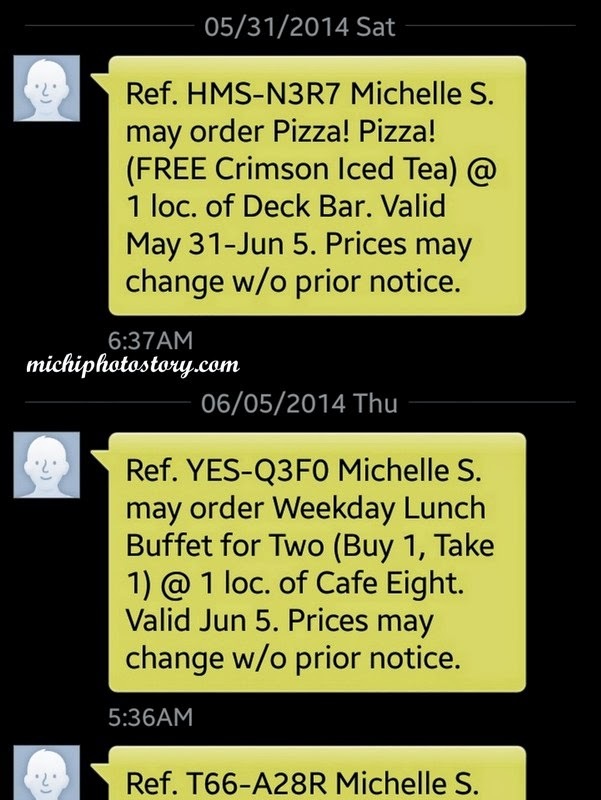 Show the text message code to staff upon ordering the VIP item at the restaurant. I’ve been getting code from different restaurant but because we're so busy as a bee, we were not able to redeem it. We’re supposed to try this Buy 1 Take 1 promo of Cafe Eight at Crimson’s Hotel but there was sudden change of plan. 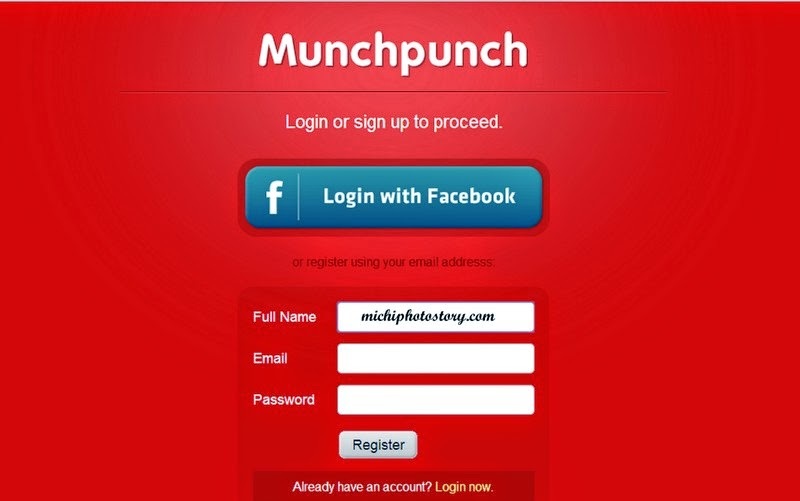 Anyway, if you want to be a VIP member of Munchpunch you can register for free. The free trial is good for 15 days only but if you want to extend the membership, you can renew it for P299 for 60 days. You can pay via paypal, credit card or cash at any 7-11 store. An added ways to order and besides very easy. No hassles and maybe home delivery. Munch punch really adds value to your regular meals with their membership packages and promos.